Inspire Your Kids this Summer with this Craft Subscription Box! You are here: Home / Fine Art / Inspire your Kids this Summer with these Fun, Educational Crafts! Inspire your Kids this Summer with these Fun, Educational Crafts! With 5 young children, you might think art plays a huge role in our homeschooling and you would be (unfortunately) wrong. The reality is, I am so busy just trying to fit in the basics, that coming up with fun, engaging, educational ideas that bring art and creativity back to our homeschool is just not in the cards. I don’t have the time, I don’t have the brain power, and I don’t have the energy. So when we heard about Green Kid Crafts (a craft subscription box for kids ages 3-10) we were pretty much sold from the start! We have the 1 year subscription and I am pretty much addicted. Every month our box comes in the mail, we all gather around to watch the honorary “opener” (it’s a coveted position, let me tell you). We ooh and ahh over all the different crafts and activities we will get to do that month (anywhere from 3-4 activities, plus we have the sibling kit so we have enough supplies for 2 per activity). Each activity is also kid tested and parent approved for fun. I am so excited to share what it looks like, some of the activities we have done this month, and what sets this apart form the many other craft subscription boxes you may have seen out there. Green Kid Crafts: NOT just another craft subscription box! The first thing I noticed when we opened up our box was that this was not just another craft subscription box! It is STEAM learning, which means it incorporates Science, Technology, Engineering, Art, AND Math with fun projects and activities and crafts. The quality of the materials is awesome! Each activity comes in it’s own little bag with an instruction card and every box comes with a sticker badge that children can place on a chart they get with their first subscription box. The activities are easy enough for a 3 year old to do but they really are engaging enough for kids all the way up to 10. We all do the projects together and we have all been learning together, it is one of our favorite parts of the week. We generally do one craft or activity each week, unless we have more than 5 to fit in. In that case, we double up some weeks. Last month was a nature box, which fit in really well with Earth Day in April. We created a paper mache planet earth, made our own paper, created a leaf sun print, as well as a leaf amulet. 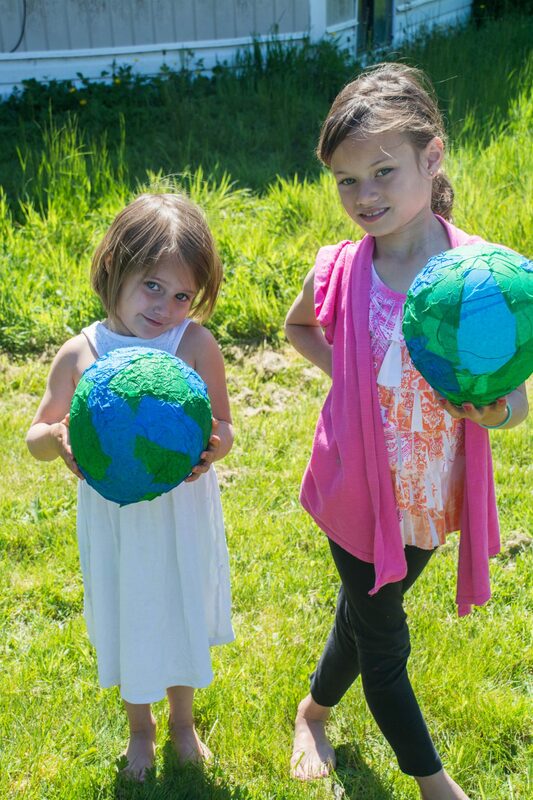 The kids had so much fun with this box, our favorite activity being the paper mache planet earth. This month we have been learning all about gardens. The boxes are timed well with the seasons, so in May we have been learning about gardening, plants and seeds. 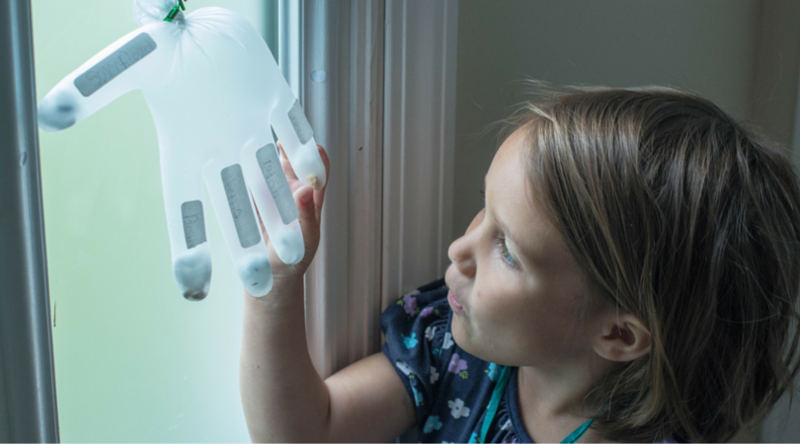 Our favorite project in this month’s box was the glove growth experiment. I love how it paired a fun activity with scientific observation. The kids were each given a glove, cotton balls, 5 different types of seeds, labels, and a suction cup. The card explained that we were to get our cotton ball wet and put the seeds on the cotton ball and place each one in a different finger. We also wrote what each seed was on a label and labeled the fingers appropriately. Then we discussed what plants need to grow: air, sunlight, and water. We knew they had water, how could we make sure they had air and sunlight? We blew air into the glove and tied it up then we hung it by the suction cup onto the window and let it sit in the sun. Each day we observed our little “glove greenhouse” to see if anything had sprouted. We hypothesized what we thought would sprout first and the kids were surprised to find the lettuce was our number one sprouter. Once all our seeds had sprouted, we cut off the fingers and planted them into the ground for further growth and observation. Tell me that isn’t the coolest project you have ever seen? A Craft Subscription Box to Inspire and Engage your Kids! Green Kid Crafts is a mom-owned, green company founded by Penny Bauder, a mom of two and an environmental activist from Alaska. The company operates a virtual office, employing a network of passionate team members based across the US from California to Alaska to Connecticut. Subscriptions are available in month-to-month, 3, 6 and 12 month durations, and also make great gifts! Subscriptions start at $16.95 / month, and sibling subscriptions are also available. The company also offers single Discovery Boxes, Creativity Kits, Science Kits, and Birthday Party activities and favors. I love that this craft subscription box is inspirational. It doesn’t just stop at one single craft or activity, it inspires conversation, further investigation. The kids ask to go to the library or are looking up more information on the internet. They are loving the hands on aspect of it (especially my kinesthetic learner) and I think it will be the perfect way to keep summer learning going in a light, fun way! If you want to try it out, there are two sales on right now that won’t last long! Right now you are able to get $10 off any new subscription plan. You just need to use coupon code 10FUN at checkout to receive your discount. Click on the image below to get started or CLICK HERE. 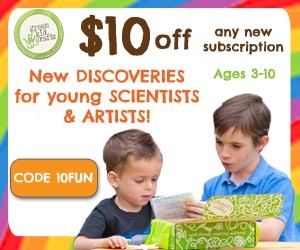 If you are looking for just some of the single discovery boxes and don’t want to be tied down to a subscription, Green Kid Crafts also has STEAM learning boxes for individual sale including Robot Workshop, Volcanoes, Ocean Science, and more! These are great as gifts too, so send Grandma and Grandpa this link 😉 Right now they are offering a HUGE sale for the month of June on their shop. It isn’t valid for subscriptions, but would be a great way to test out some of their kits. Check out the discounts in the image below or HERE! 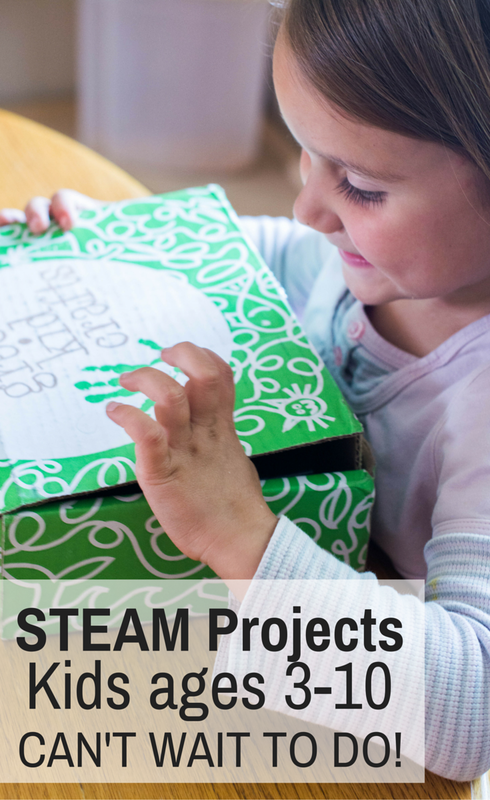 What kind of STEAM projects have you done in your homeschool? Awesome toys and Fantastic post. Thank you for sharing!